Barge Positioning Winches - Bulk Material Handling | Thern, Inc.
Power meets precision with custom-built barge positioning systems. Our sophisticated control systems provide maximum load control to save time and hassle. 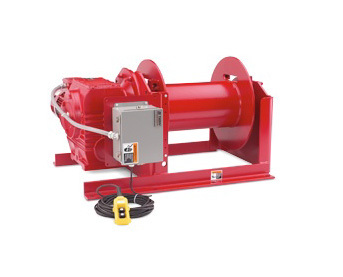 Thern power winches provide the power and control needed for dependable handling of heavy loads. From positioning barges to pulling rail cars, positioning load-out chutes to hoisting equipment, our winches are working in all areas of marine and bulk handling. Thern winches are also used to raise and lower walkways on ships and off-shore oil rigs.